I loved having my first baby in the summertime and aside from memories of welcoming him home, I'll never forget the heat of that summer as a pregnant woman - too hot! If you're planning a baby shower for a loved one, let me suggest a cool weather-inspired theme to keep her mind and body comfortable to enjoy the love of friends and family. Here are some fun and easy DIY or store-bought Cool Summer Baby Shower Ideas to Help Mom-To-Be Beat the Heat. I'm a Fan of You, Mommy-to-Be! When it's hot outside, there's nothing better than having a pocket fan on hand to beat the heat. Invite guests to use one of these personalized fans at the party. Design and DIY one large fan for Mom to hang in her nursery that features a special note from every guest on one of the paper folds. At the party, create a beautiful environment using fans in every size to decorate. Create a fan-tastic custom monogram for Mom-to-be of her family's last name to hang in baby's nursery. 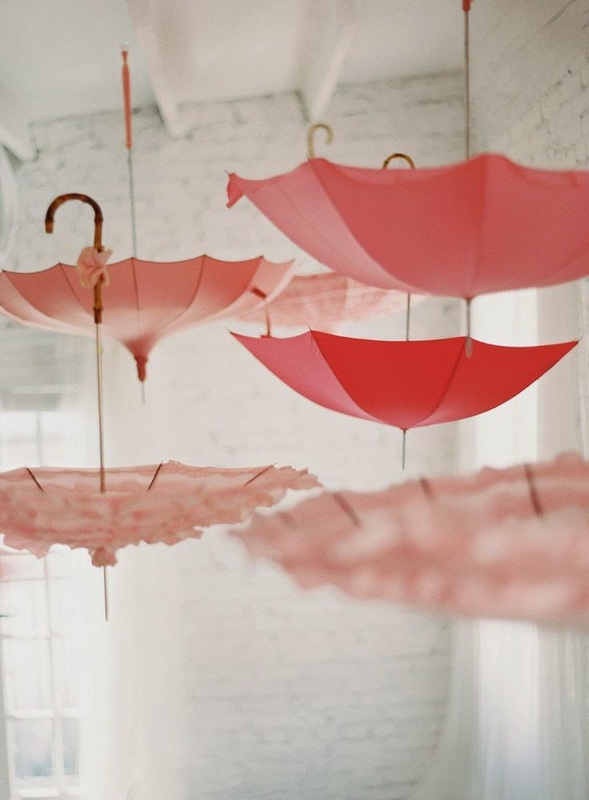 Use umbrellas and create a cool environment as you add little touches of water and ice water to the decor. Turn parasols upside down and hang with Command Hooks that won't peel paint from the hostess' ceiling. Try this from Lush Fab Glam! Top cocktails and mock-tails with party drink umbrellas. Add a little light rain to the party forecast to keep Mom and her guests cool and comfortable. Use blue and white and a puffy white cloud motif with raindrops to decorate and weave through the menu, party favors and gifts. Gift mom-to-be with great baby shower gifts for outdoor fun with baby. A baby poncho, stroller umbrella, waterproof blanket are great choices to help mom overcome her hesitation to take baby on a walk in the rain. Take mom-to-be on a getaway when you shower her with beach-inspired baby gifts and decor. Use inexpensive beach buckets and shovels to serve salads on your lunch or brunch buffet. 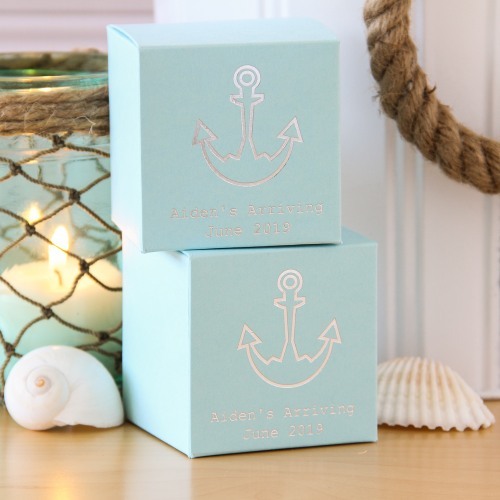 Create custom party favors in a nautical theme that celebrates Mom and Dad's love of the beach or a special vacation. Decorate with nautical inspired elements like this garland below. Treat Mom to this blue ombre cake that will delight her and guests with every bite. It goes without saying that this theme is best employed when mom-to-be knows she's having a boy or is waiting for the big surprise. There are TONS of ways, however, to make the palette and Cool Blue Baby Shower theme work for welcoming little ladies too. Some of my favorite color combinations this season pair bright citrus with blue for a great neutral effect. This is the baby shower theme that inspired this post! For little girl baby showers use aqua blue or a turquoise that's cool in feeling and pair it with coral or mom's favorite pink or orange. Shades of blue and orange create a soothing and chic palette for this foxy baby shower. How did you stay cool when you were pregnant in the summertime? Tell us below! And here are some more ideas to try when planning a baby shower in any season. Check us out on Pinterest! 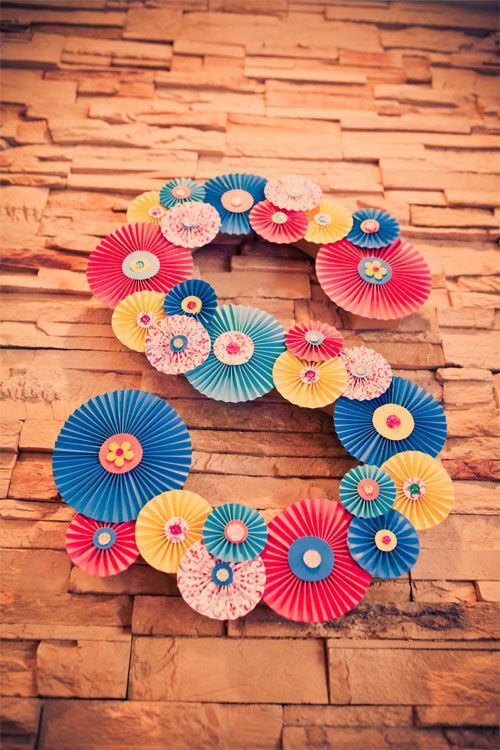 Follow Satsuma Designs's board Organic Baby Shower Ideas on Pinterest. All sources can be found by following photo links.